What makes this utility dump better then competition is the 5200 pound axle. 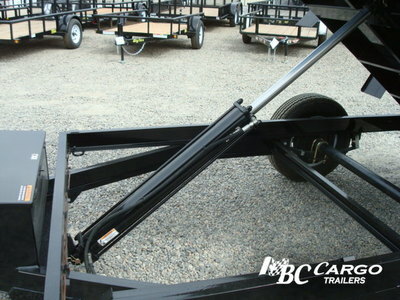 This axle has the exact same size brakes as a 7,000 pound axle. That means it will not work the brakes of a smaller tow vehicle very hard. 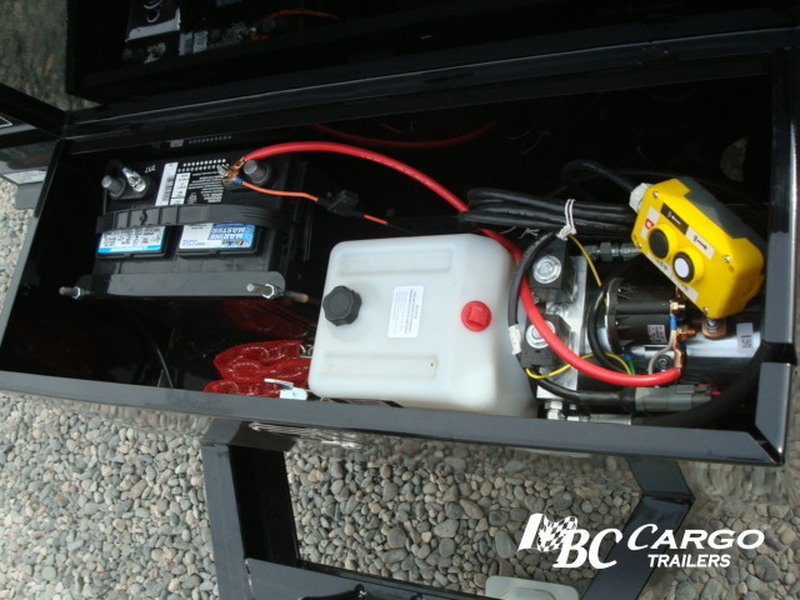 Also the over sized pump and cylinder will not keep you from dumping the biggest of loads. 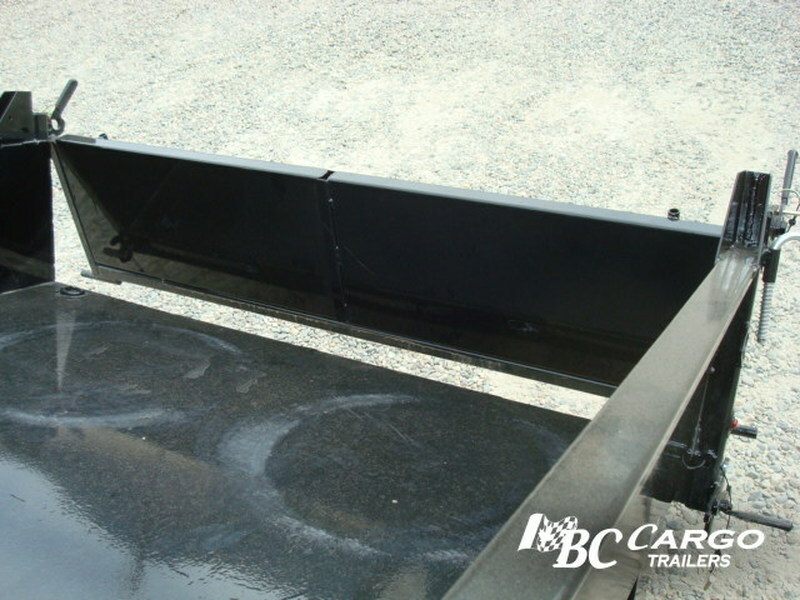 The dual acting rear gate is great for loading equipment and dumping materials. 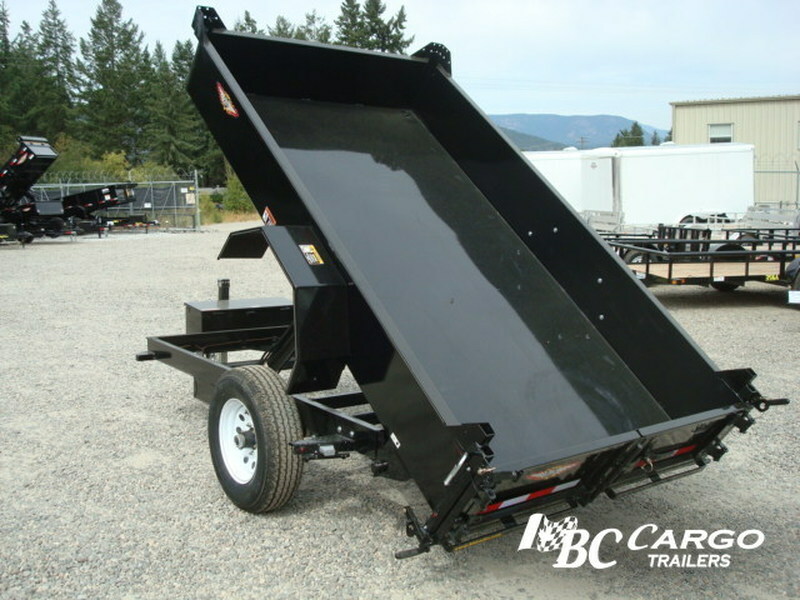 Designed with residential landowners, landscapers and hobby farmers in mind, this compact dump trailer is ready to perform. 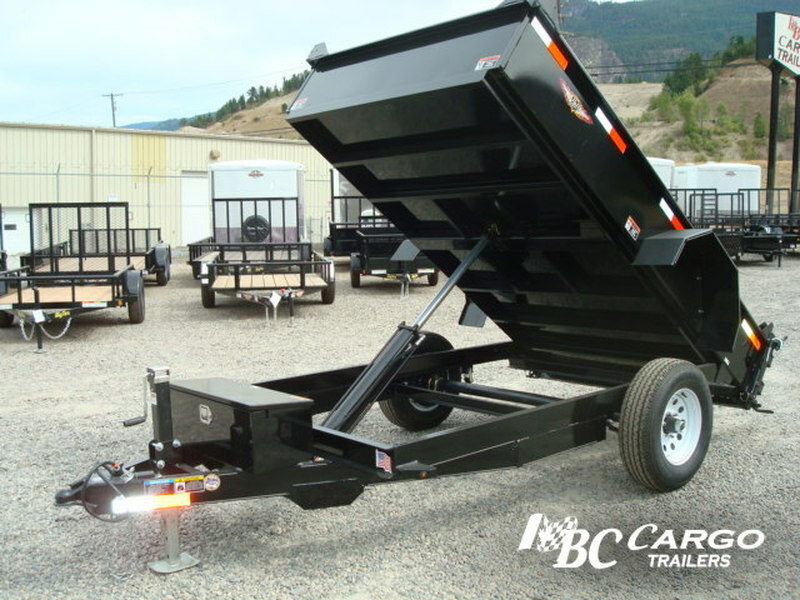 Hauling mulch, lawn debris, soil and aggregate around your property or job site is so simple now. 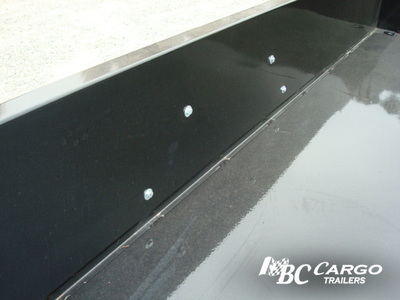 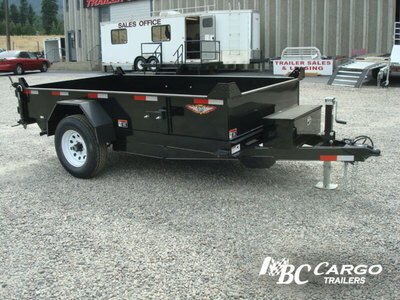 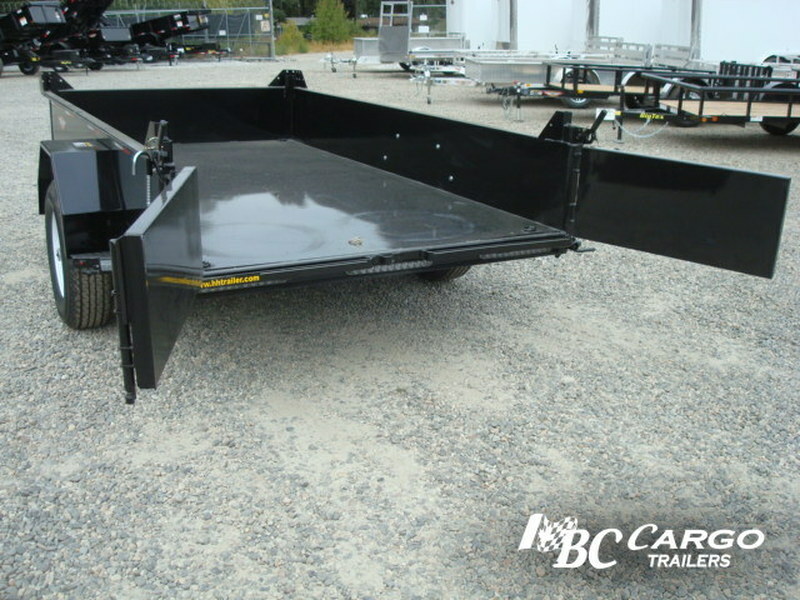 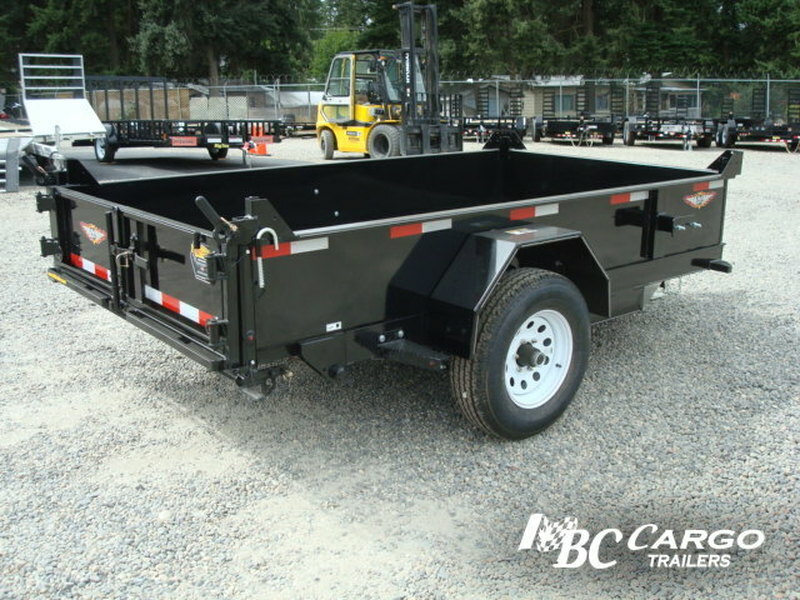 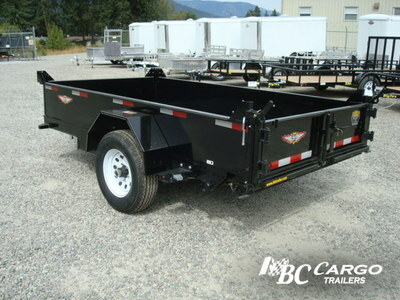 The smaller footprint of this trailer allows you to get into spots that the larger dump trailers can’t gain access to. Loaded with standard features for convenience, safety and durability, check one out today. 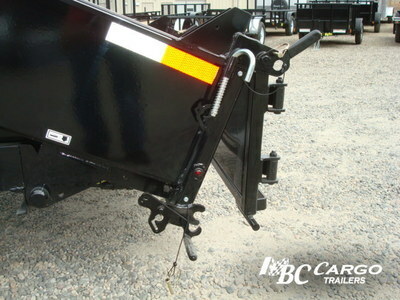 2 5/16” A-frame Mounted Posi-Lock Coupler.